Campaign-specific landing page design typically generate a15% increase in conversion rate. For most businesses, dedicated landing pages are essential to the success of their advertising campaigns. "We've been working with these guys since February 2016, and they are not our first ppc ad agency but they are definitely our last. They blow the competition out of the water. They are open to learning and teaching while they execute.They are fantastic, thank god we found them." From a single landing page design to full website redesigns, we have the team and the experience to craft beautiful, custom and high-converting landing pages for your products and services that integrate with all your existing marketing tools. We’ve worked with clients in almost every niche, and in almost every case, our landing pages converted significantly better than the landing pages that were receiving traffic prior to our involvement. Our team created a series over over 20 landing pages coordinated a complete restructuring of our PPC campaigns. Conversion rates from our new landing pages increased by over 10%, helping the ICC generate more leads at a lower cost. We also introduced new offers for potential students not quite ready to begin the enrollment process. Our series of landing pages for our client, ResetIV, helped increase conversion rates from PPC campaigns by over 30% and were an integral part of an overall increase in new business of over 200%. We used principles like scarcity and limited time coupons to increase interest in the services our client offers. Our landing pages for Karrass® allowed us to attract and convert leads and prospects earlier on in the buyer funnel by offering them gated content via our landing page. This strategy has helped Karrass transition more of their marketing budget to digital channels. VersaDesk is going up against a giant competitor in their space. 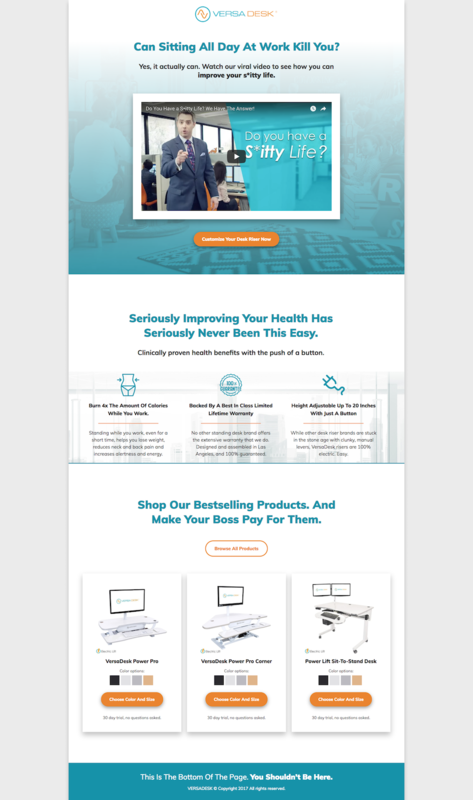 Our landing pages and respective campaigns have helped consumers understand the unique products VersaDesk offers by educating them about the differences between us and the competition in an informative and humorous way. OnyxTel is a premier provider of VoIp services and business telecommunications integrations. OnyxTel used our landing page design microsite package, and the set of landing pages we designed for them helped them showcase their offers by industry, allowing them to more clearly sell their products and services to the right people. Harbor Village is a premier drug rehab and detox center in South Florida. We developed and designed a variety of custom landing pages for their PPC campaigns. The increase in conversion rate helped us double their monthly PPC spend while cutting their cost per admit by more than half. Team Birth Mom is one of the largest adoption agencies in the country, helping thousands of struggling birth mom’s find adoption help and resources. Our custom landing page design helped them generated a 40% increase in form conversion rate from their PPC campaigns. Iron Capital Group helps small businesses all across the country access affordable capital. 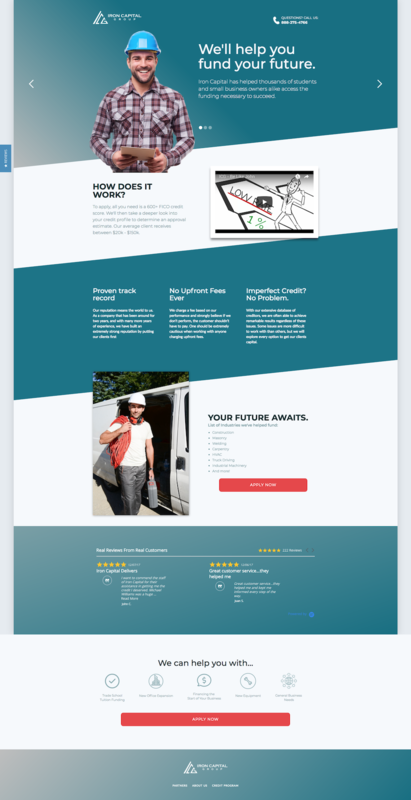 Our custom designed landing page focuses on educating the consumer, helping them better understand the loans that are available in order to be able to better choose a loan that fits their business needs. Cocoon Healthcare came to us for help with their PPC campaigns. They operate in a very competitive niche, and converting their traffic efficiently is very important. Our custom designed landing page helped increase their form submissions and phone calls, which in turn allowed us to scale their PPC campaigns. Estrada Fitness is owned and operated by an olympic gold medal strength trainer, and they came to us to help launch four online training programs. Our team designed and developed four custom landing pages showcasing the features and benefits of their programs. Proficient Removals is one of Australia’s most popular moving companies. Their current site was loading slowly and the information was difficult to navigate. We consolidated all the essential information, enabling visitors to see all that Proficient Removals has to offer while creating clear calls to action throughout the page. Sperity Credit Services saw a 15% increase in form conversion rate on our custom designed landing pages. By focusing on just what was important to their customers, and laying the information out in a clearer way, users were able to see the value Trinity could add, and were more likely to request a callback. The display network is a vast landscape with many different available ad formats. Each ad format has it’s pros and cons, and each work better under certain circumstances more than others. We’ll be designing and bidding on the ad formats that most closely align with your marketing goals. Our landing page design service will look beautiful on any screen, on any browser, and on any device. We'll work with your team to shoot custom imagery, but we'll also work hard to source unique stock photography. Your landing page should convey your brand's unique personality. We'll write copy that shows how you're different than everyone else. Headlines, colors, copy, form fields ... we love testing, and it never gets old. There's always something we can test and improve within our landing page design. We'll work with your developers to integrate form submissions and phone call tracking with your existing marketing software and CRM. Whether your capturing leads, running email remarketing or driving phone calls, we'll make sure your landing page plugs and plays with your CRM. 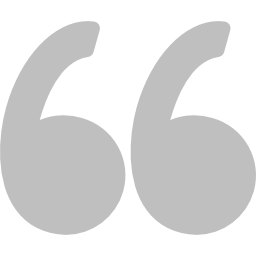 Prices below are for stand-alone landing page quotes. When combined with PPC campaign management, pricing can vary. "We spent a lot of money with local SEM companies here in Sydney up to a point where we decided to learn ourselves, that was when I came across Isaac's AdWords course on Udemy...I purchased the course and learned from it. That alone put me in a much better position when I comes to talking to AdWords service providers .... Since then we started working with Adventure Media Group, Ari, my account manager always make sure to get the most out of our budget and the campaign we run with them is very successful indeed."